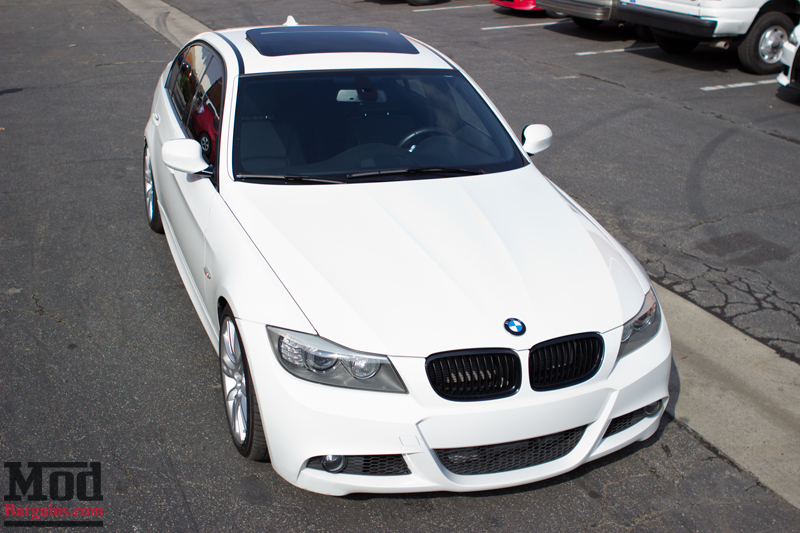 Ashan’s been coming to ModBargains for quite a while, and Modification Expert Frank Kim helped him out most recently with his E90. Looking at this car from the outside, there’s no indication just what a gnarly beast this thing really is. 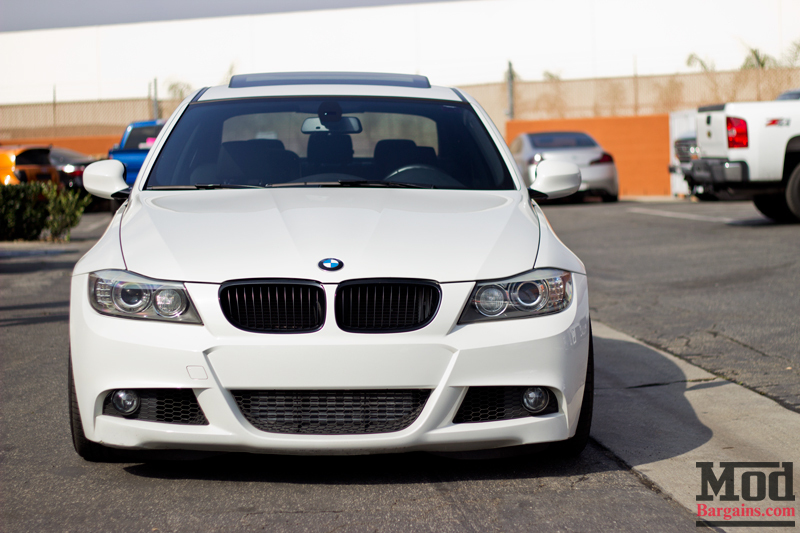 A set of BMW Performance Black Kidney grilles for E90 dress up the front end and a set of painted Arctic White Painted Reflectors further streamline the car, yet the wheels are stock – as is the exhaust. LED Angel Eyes give the trademark BMW Halos a little extra visual pop, but that’s about it- The car sits on a set of H&R Sport Springs for E90 that drop the ride height just enough but leave the car’s ride still comfortable and family-friendly. But the real story is under the hood. Ashan hit up Frank when he wanted to beef up the power output of this car, so Frank recommended a Stage II package from Burger Motor Sports. We paired a BMS JB4 Performance PNP ECU tuner and BMS Dual Cone Intake up with a set of Active Autowerke Downpipes for N54. 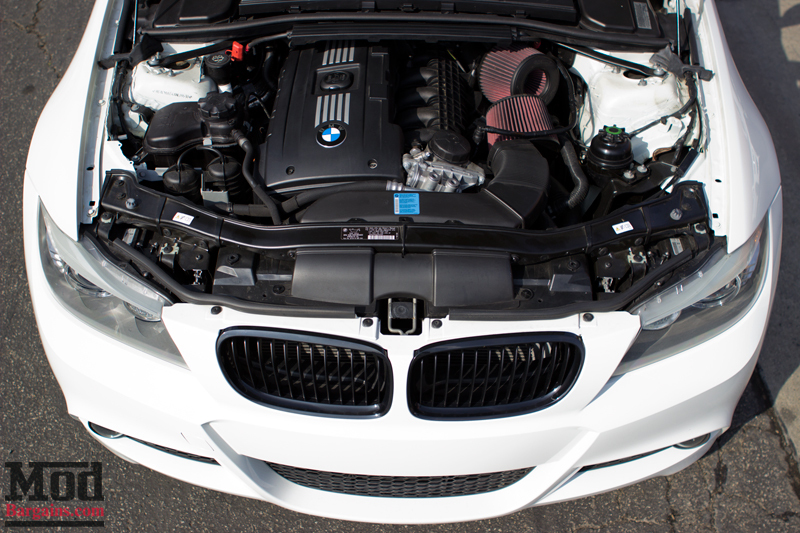 Keeping the intake air temperatures cool and consistent is an Active Autowerke Front Mount Intercooler for E90. “I love how the N54 responds to mods, and Frank lets me know what mods are available that I’d like – I didn’t know about the painted reflectors until Frank told me about them, and I’m glad he did.” Ashan tells us. What makes this car so deliciously sneaky is that even though the car has performance downpipes fitted, the exhaust system is still stock from the downpipes back. This unique combination gives the car a subtle but beefy growl yet leaves the car totally comfortable with no drone on the freeway. 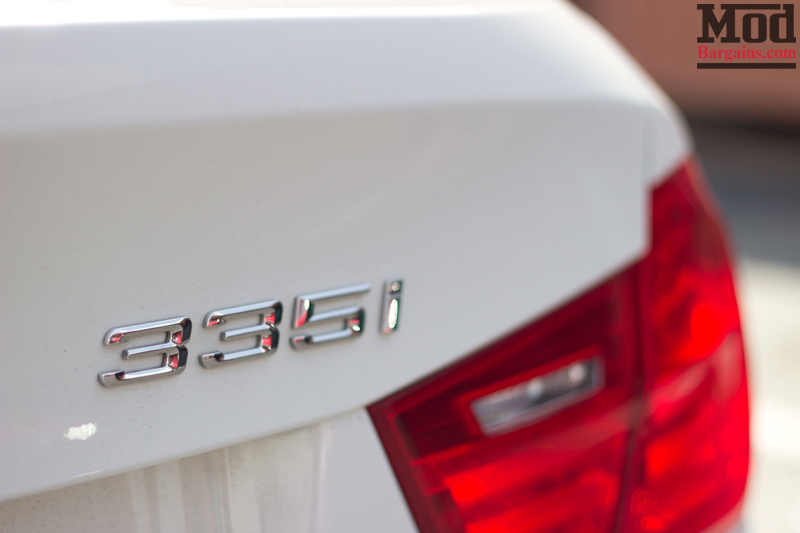 Want to beef up your Bimmer? Talk to the Modification Experts like Frank Kim at 714-582-3330 x8003 or chat online at ModBargains.com – we’ve got the Experience, Expertise and Enthusiasm to turn the car in your driveway into the car of your dreams. Call today! Stock, or is it? 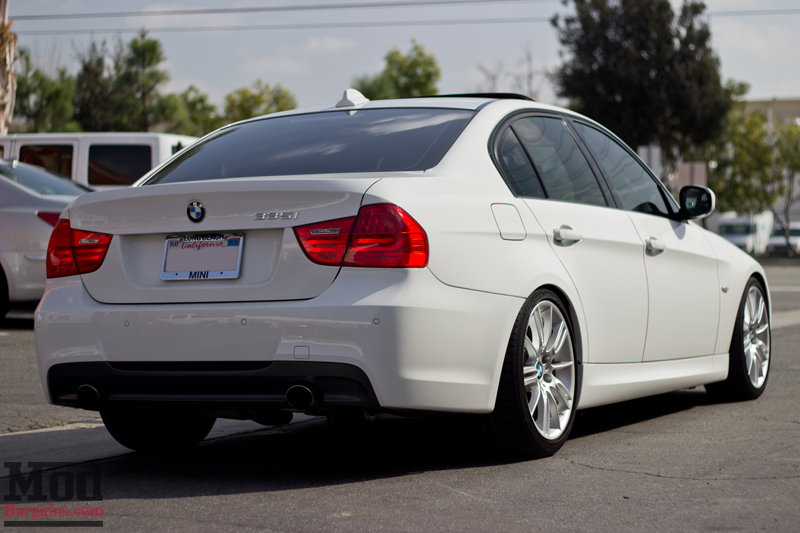 Matt T’s E90 Modded BMW 335i Sleeper may surprise you! 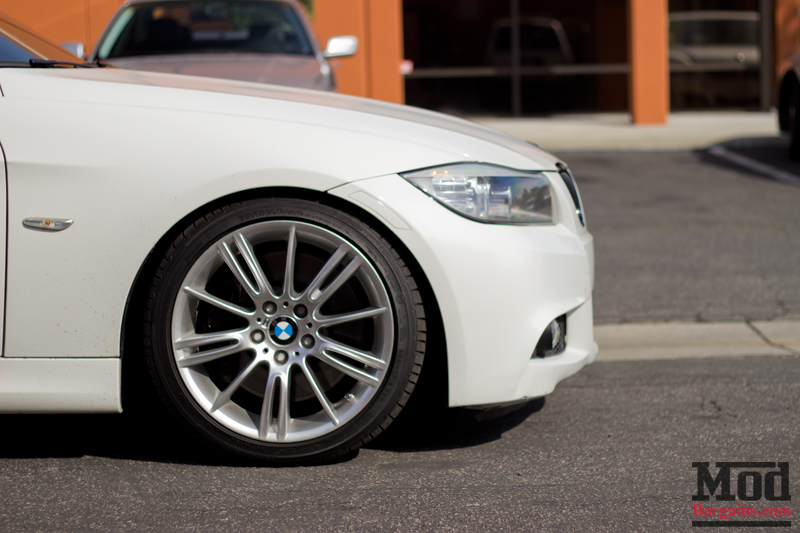 Customer Spotlight: Fashion Grey Wrapped F80 M3 – Adrien L.
Product Spotlight: The Forgestar M14, Custom wheels for all.